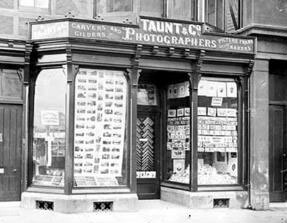 Henry Taunt (1842-1922) was a famous Oxford photographer whose collection of negatives, prints and other material was bought by Oxford City Library in 1924-5. A series of online galleries depicting Henry Taunt's life through his images. Oxfordshire History Centre retains Taunt’s original prints but his surviving glass plate negatives are now held in the English Heritage Archives in Swindon. The two collections have been ‘virtually’ reunited as a result of a joint digitisation project funded by the New Opportunities Fund. You can see a browseable and searchable library of Taunt images at the English Heritage ViewFinder website. The site also includes themed exhibitions about Henry Taunt’s life and work.